Screenwriters who may or may not be members of the Writers’ Guild of America (WGA) can utilize any number of the WGA’s resources such as registering material, obtaining a list of franchised literary agents and obtaining a sample collaboration agreement (when more than one writer creates a script). Information and credits on screenwriters, directors, producers, stars, film and television shows are available on a huge Internet database linked below. InkTip is a great resource for writers marketing their own scripts to potential buyers and/or seeking representation. InkTip exposes scripts to 1,000s of producers, agents, managers, directors and actors. Also there is information on writing contests and helpful advice for writers. Virtual Pitch Fest is another site for writers to market their own scripts to potential buyers. This web site’s approach is a little different than InkTip mentioned above in that it allows the writer to target a specific producer or production company when pitching a project. The site lists producers and what genres of material they are open to considering. 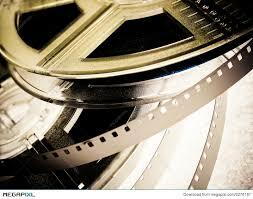 The site below focuses on the business and craft of screenwriting. It tracks the script sales made in Hollywood each day. A subscription to the service will provide access to information on agents, managers and producers along with addresses, phone numbers and staff, etc…. A comprehensive and informative site with an extensive list of contests, criteria for submitting, costs and reviews of screenplay writers’ competitions. The Creative Screenwriting magazine is available in print and on-line. It is filled with interviews with successful Hollywood screenwriters and advice on the business of screenwriting. 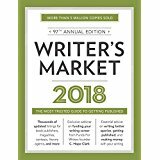 Published yearly, the Writer’s Market is one of the most comprehensive listings of publishers and editors along with helpful hints for writers of books, short stories, articles, etc. Submission guidelines and information on publisher pay rates/royalties/advances are included. 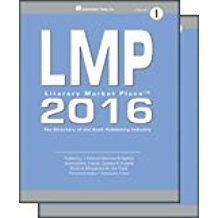 Literary Market Place is an extensive yearly guide to the U.S. book publishing industry, covering every conceivable aspect of the business including publishers, agents, advertising agencies, associations, distributors and events. 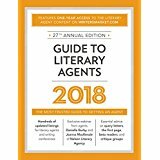 Guide to Literary Agents is a yearly publication listing contact information on 1,000’s of literary agents who represent writers of books. Kirkus Reviews contains major reviews of the latest books as well as pre-published looks at important upcoming works. There are also reviews each month of the best fiction and non-fiction submissions from self, e-published and POD authors as determined by a select group of reviewers chosen by the Kirkus staff. Tour the web site for more information. This is a comprehensive, informative site that contains book reviews; a current list of books adapted to the screen with synopses, cast lists and release dates; authors’ bios and bibliographies; suggested reading in various genres; upcoming book releases; a best sellers’ list; book club information; and, a very long list of book contests and awards. When you need to write dialogue in a foreign language that you aren’t familiar with, you can go to this site, type in the sentence or phrase in English, then choose the language to which you want the line translated and VOILA! CONTACT US for your free, ten-minute phone consultation to discuss your needs, our services or any current discounts being offered.